NORTH PANHANDLE - 3-Unit Victorian 3 full-flr Grand Victorian flats with a beautiful, ornate facade. All 5-rm flats have flexible flr plans & are currently tenant occupied. Great location next to Petrini's Plaza, within walking distance to Golden Gate Park, coffee shops & restaurants & transit friendly. Also near Univ of SF campus. All 3 units have high ceilings & open into the yard. 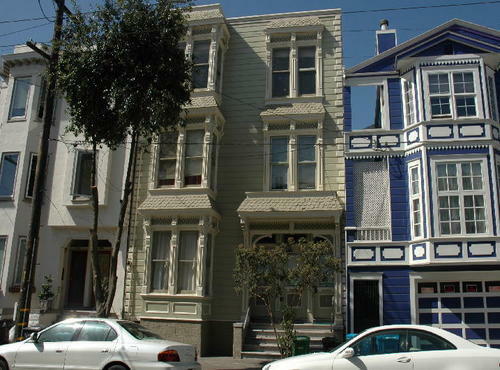 Excellent price for this opportunity to purchase this vintage San Francisco Victorian. Finished garage plans & drawings available for review.